Rothbard was no ivory-tower scholar, interested only in academic controversies. Quite the contrary, he combined Austrian economics with a fervent commitment to individual liberty. He developed a unique synthesis that combined themes from nineteenth-century American individualists such as Lysander Spooner and Benjamin Tucker with Austrian economics. A new political philosophy was the result, and Rothbard devoted his remarkable intellectual energy, over a period of some forty-five years, to developing and promoting his style of libertarianism. In doing so, he became a major American public intellectual. As Rothbard originally planned Man, Economy, and State , it was to include a final part that presented a comprehensive classification and analysis of types of government intervention. The section also subjected to withering criticism the standard canons of justice in taxation; a brief but brilliant passage refuted in advance the anti-market arguments based on “luck” that were to prove so influential in the later work of John Rawls and his many successors. Unfortunately, the part appeared in the original edition only in a severely truncated form. Its full publication came only in 1972, under the title Power and Market. The complete version of Man, Economy, and State as Rothbard originally intended it to appear, is now available from the Mises Institute. 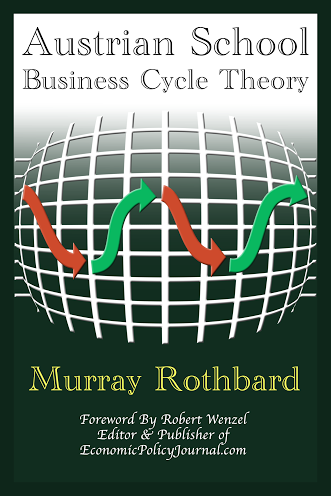 This masterly work was far from exhausting Rothbard’s contributions to economic theory. In a major paper, Toward a Reconstruction of Utility and Welfare Economics (1956), he showed that if one takes seriously the fact that utility is ordinal and not cardinal, then the anti-market views of most modern welfare economists must be abandoned. Strict application of demonstrated preference allows one to say that the participants to a voluntary exchange expect ex ante to benefit. Further than this, the economist, so long as he remains value-free, cannot go. His main papers on economic theory are available in the posthumously published two-volume collection The Logic of Action (1997). Rothbard devoted close attention to monetary theory. Here he emphasized the virtues of the classical gold standard and supported 100% reserve banking. This system, he held, would prevent the credit expansion that, according to the Austrian theory of the business cycle developed by Mises and Friedrich Hayek, led to inevitable depression. He summarized his views for the general public in the often-reprinted pamphlet What Has Government Done to Our Money? ? (1964) and also wrote a textbook, The Mystery of Banking (1983). Rothbard showed the illumination that Austrian theory could bring to economic history in America's Great Depression (1963). Far from being a proof of the failures of unregulated capitalism, the 1929 Depression illustrates rather the dangers of government interference with the economy. The economic collapse came as a necessary correction to the artificial boom induced by the Federal Reserve System’s monetary expansion during the 1920s. The attempts by the government to “cure” the downturn served only to make matters worse. The situation was quite otherwise with postwar conservatism. Although Rothbard was an early contributor to William Buckley’s National Review, he rejected the aggressive pursuit of the Cold War advocated by Buckley and such members of his editorial staff as James Burnham and Frank S. Meyer. He broke with these self-styled conservatives and thereafter became one of their strongest opponents. For similar reasons, he condemned their neoconservative successors. He followed a pragmatic policy of temporary alliances with whatever groups were, at a given time, opposed to militarism and foreign adventures. He set forward the basis for his political stance in a key essay, Left & Right: The Prospects for Liberty . This appeared in an important scholarly journal, Left and Right, which he established. This contained major essays on revisionist history and foreign policy, but unfortunately lasted only from 1965-1968. In an effort to widen the influence of libertarian thought in the academic world, Rothbard founded the<a Journal of Libertarian Studies in 1977. 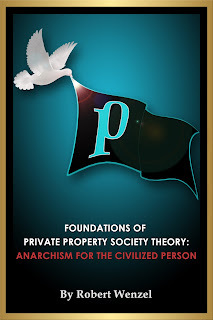 The journal began auspiciously with a symposium on Robert Nozick’s Anarchy, State, and Utopia . Down to the present, it has remained the most important journal hospitable to libertarian ideas. Rothbard established in 1987 another journal, the Review of Austrian Economics , to provide a scholarly venue for economists and others interested in Austrian theory. It too is the key journal in its area of specialty. It has continued to the present, after 1997 under the new name Quarterly Journal of Austrian Economics. In his comments on current events, Rothbard displayed an amazing ability to digest vast quantities of information on whatever subject interested him. Whether, e.g., the question was competing factions in Afghanistan or the sources of investment in oil in the Middle East, he would always have the relevant data at his command. A sample of his columns, taken from the Rockwell Rothbard Report, is available in The Irrepressible Rothbard (2000). Another journal that he founded, The Libertarian Forum , provides his topical comments for the period 1969-1984. He presented a comprehensive popular account of libertarianism in For a New Liberty (1973). One last academic triumph remained for Rothbard, though sadly it appeared only after his death. In two massive volumes,Economic Thought Before Adam Smith and Classical Economics (1995), he presented a minutely detailed and erudite account of the history of economic theory. Adam Smith, contrary to general belief, was not the founder of modern economics. His defense of a labor theory of value, modified and continued by his Ricardian successors, shunted economics onto the wrong path. The heroes of Rothbard’s study were the Spanish scholastics, who long before Smith had developed a subjective theory of value, and such later figures as Cantillon, Turgot, and Say. He dissects the heretical religious thought that prefigured Marxism and gives a mordant portrayal of the personality and thought of John Stuart Mill.